Reports making the rounds in Spain have it that Real boss Zinedine Zidane is set to get a new deal from the club. The club’s chair Florentino Perez is reportedly okay with the performance of the club’s former player turn coach. Real Madrid are keen on winning their first La Liga title in five years as they sit three points above an embattled Barcelona team with a game in hand. Zidane’s current deal would lapse at the end of next season but Perez wants to begin talks as he is impressed with his achievement. In Zidane’s tenure, Real have won the Champions League, the Super Cup and the FIFA world Club Cup. Zidane supervised a resurgence that saw Madrid finish a point behind Barcelona last year despite all the slip ups all along. Real Madrid have a 2-1 advantage over Bayern Munich after getting a victory in Germany. They are expected to wrap up the victory with the return leg at the Santiago Bernabeu on Tuesday. Bayern have a depleted defence with Jerome Boateng and Mats Hummels recovering from injuries. Javi Martinez who was sent off in the first leg would miss the clash as well; leaving a second-rate defence at best for Real’s strikers. Upfront Robert Lewandowski only just returned to the team and he might struggle as he has not gotten full match fitness. Zidane rested seven players in the game against Sporting Gijon, where Isco played brilliant football to give them victory. Zidane is leaving no stone unturned as he seeks a semi-final spot in the continental tie. Zidane has continually ignored comments over his future as he continues to plan for the current and next season. The manager would be the second man of recent to get a contract extension since Jose Mourinho. DarijoSrna believes compatriot Mateo Kovacic will eventually replace his Real Madrid Luka Modric as ‘being the best midfielder in the world’. The 22-year-old Kovacic has taken an increasingly prominent role at the Bernabeu this season while the Shakhtar Donestk full-back believes Croatian captain Modric. “I am sure he [Kovacic] will succeed Modric as he has incredible talent,” Srna told Marca. “I adore him. Although he has improved a lot, we have not yet seen all he can give. But we will. He is the future of Madrid. He needs time as just three years ago he left Dinamo Zagreb to play at Inter and then Real Madrid. “Although he is my friend, [Modric] is the best midfielder in the world at the moment. Srna believes that Modric is clearly the best in the world and not just one of the best. He thinks Modric has been improving through the years and he is at his best currently. Since arriving, Modric has done nothing but keep improving and Madrid are going to face serious problems without the Croatian international. “I have no doubt, I do not say he is one of the best, I am sure that he is the best. Luka is improving with the years, I believe he is at his best now. Since he arrived he has been improving with the team. Madrid are having a great run of results, but without Luka they would have problems. Srna also spoke about Rakitic stating that the Barca star has shown his quality numerous times and even scored a goal in the Champions League final. He insists that Rakitic will work hard to get back to his utmost best. Next up for Real Madrid is a trip to Osasuna on Saturday as they look to extend their lead at the summit of the Spanish League. IS ZIDANE A LUCKY MAN? content January 28, 2017 Comments Off on IS ZIDANE A LUCKY MAN? Current Newcastle coach Rafa Benitez as at February last year was in charge of Real Madrid. The Spaniard who by the way started his career at the Bernabeu before his sojourn to Valencia, Liverpool, Napoli, Inter, Chelsea and back home replaced his not so-good-a-friend Jose Mourinho after the Portuguese “mutually” parted ways with Florentino Perez’s club. The Spaniard came to the club with real intent to make the Galacticos better after Mourinho’s tumultuous reign. It only took six months for club officials to realize the experiment was flawed with the 4-0 defeat to eternal rivals Barcelona at the Santiago Bernabeu cutting the string of patience tying Perez’s hand from pressing the red button earlier. Names like Klopp and Ancellotti- the guy that landed them the La Decima it took them years to seek – was expected to be flashed on the front pages of dailies across town instead Perez upgraded Zinedine Zidane- who was then serving as assistant coach – to the hot seat. Reactionary gasps of “what the hell?” predictably followed the announcement till fans had concluded that it won’t be so bad for the French man to see out an already derailed campaign as they expected a high profile coach in the summer. Well somehow, after a slow start, Zinedine Zidane whipped his men into the best of shapes and they would go onto finish one point behind La Liga champions Barcelona who had a much higher gap no thanks to Benitez. It didn’t end there. 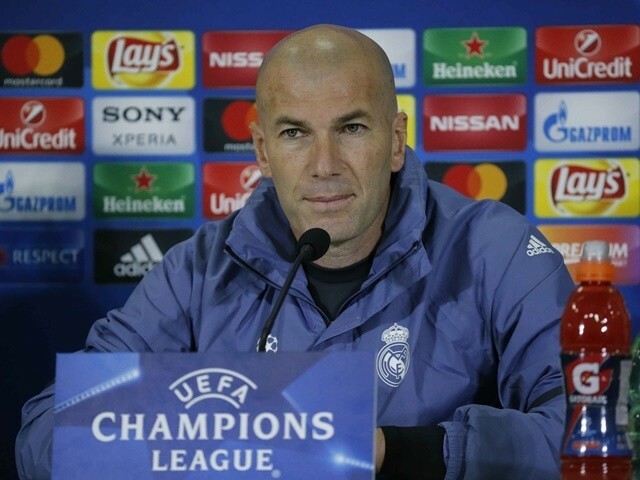 The caretaker coach led the Whites to an 11th UEFA Champions League title. It was ecstatic and euphoric and almost poetic since Zidane was a former player who lifted a similar trophy as a player with an outrageous volley against Bayern Leverkusen in 2002. Still, the lull of doubt didn’t go away. Roberto Di Matteo did the same for Chelsea in May 2012 and by December that year his inexperience exposed him and made his Champions League journey look like an act of sheer serendipity. That’s why question marks hung over Zidane even after delivering the most prized trophy in European football. 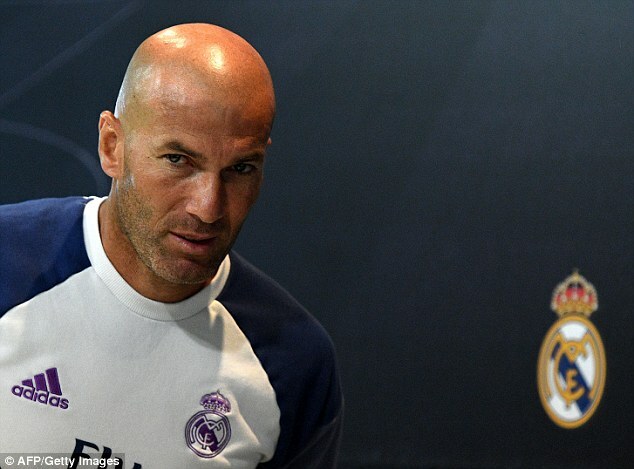 In a move that astonished lot of people, Florentino Perez decided to formally name Zidane head coach. Who could blame him as non-sentimental as Perez can be, firing a man who delivered such goods is a road that even the steeliest of all men will decline to travel. Some ultras even concluded by revitalizing the theory of Perez’s special likeness towards the Frenchman after all it was rumoured that Zidane’s position as assistant coach – a post Ancellotti offered him – under Benitez despite Ancellotti’s dismissal was a bid to serve as the king’s eyes and ears. Well records will by now be singing “to each other his own” as Zidane’s performance has spurn see-saw of opinions where one side is questioning if tactical and technical sophistication’s importance aren’t overrated after all while others declared the Frenchman as lucky, pointing at his having a pool of many golden fishes and a slightly easy run-off on route to the UCL tittle. For whatever accusations the former Juve player do face, it will be unfair to write off the calm, organization, positive atmosphere and new sense of resilience – a gospel currently spearheaded by skipper Sergio Ramos – as luck. If anything, it’ll safe to say that he made his own luck. A careful observation of the current squad reveals a spirit of togetherness and close knit brotherhood, qualities that are sometimes even more important than just having a sea of talents and it sure as hell takes more than luck to figure out a way to fit such talents into a workable machine. Real Madrid and Athletic Madrid are scheduled to face off on November 19 in what is expected to be one of the most exciting and thrilling matches so far in this season. When both of those clubs compete against each other, it’s always extremely contested and disputed. Throughout the entire history of this rivalry, Real Madrid has had the edge with 85 victories out of the 158 matches that they have played against each other while Athletic Madrid has only been able to win 39 times. Even though Real Madrid has historically enjoyed having the upper hand, they have a fairly big problem with Toni Kroos sustaining an injury that will be leaving him out of the playing grounds for an undetermined period of time but it’s expected to be a long time after breaking one his bones in his right foot. One of the other key midfielders of Real Madrid is Luka Modric and the Croatian has only just recently been able to get back on the pitch as he was recently struggling with a muscular injury that he picked up. Zinedine Zidane also stated that he was worried about his squad but that he will do whatever he can with whichever players are ready at his disposal for their upcoming match against Athletic Madrid. Karim Benzema and Gareth Bale are a few of the other players that were in doubt as to whether or not they would be able to play against their rivals, it has recently been confirmed that both of them should be in good shape for the match unless another unfortunate emerges in the next few days. Real Madrid recently returned from match at the weekend with Real Betis where they routed their underdog opponents. The Madrid players, on Monday, took to the training pitch in order to prepare for their upcoming Champions League group stage tie against Legia Warsaw billed for Tuesday. Real Madrid would play host to their opponents at the Spanish Capital, in a game that would be their third in Group F.
On the Champions League Group F table, Zinedine Zidane’s men sit in second position under Borussia Dortmund. This came on the heels of a point secured by the team during their 2-2 draw against Dortmund in Germany. Also, in their first-round opening game played against Lisbon, goals from Ronaldo and Alvaro Morata ensured that Real Madrid came from being the underdog to winning the match against Lisbon with a one goal margin. During their training today, Morata took some pictures and uploaded on his Instagram profile which showed Los Blancos getting prepared for their next game against Warsaw. 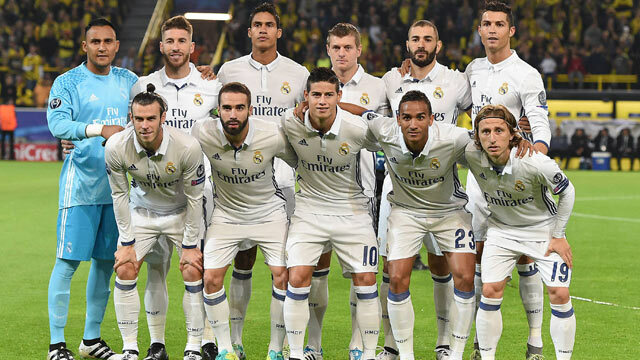 The picture had the likes of Marcelo, Karim Benzema, star striker Cristiano Ronaldo and other members of the team as well. Their 6-1 win over Betis last weekend is yet their biggest win so far since this season, thereby pushing them to the top of the La Liga table. This feat was made possible by goals from Raphael Varane, Karim Benzema, Marcelo, Ronaldo and a brace from Isco. Recall that in their last three games, Real Madrid had come away with three consecutive draws in the league. This victory put an end to the draws. All the players on the pitch were all in a jovial mood, especially Ronaldo who was in a chirpy mood all through. Zidane was equally on the training pitch with his men and hopes they would be fully revitalized before their return to Europe on Tuesday. Real Madrid has been banned by the FIFA from signing new players until January 2018 for allegedly breaching the rules of transfer of foreign players aged under-18. The Real Madrid manager Zinedine Zidane has stated that this is a stupid decision and that the team will be making an appeal to this ruling. It is believed that Zinedine Zidane’s sons are among the players that have been wrongfully transferred, and this is what caused the FIFA to ban Real Madrid. The manager said that he could not understand all the fuss about this issue. He said that his sons were born in Madrid and that given that he is a former player of the team it is natural that they want to play for the Real Madrid’s youth team. He said that is the most absurd decision that he has ever seen and that the team is going to fight it. Speaking about the new season, Zinedine Zidane said that he is confident and that the team will be able to mount a serious challenge for the title. He said that Real Madrid would also be doing everything they can in order to win the Champions League. He believes that he has a strong squad to cater for the domestic competition as well as the Champions League. Indeed, Real Madrid has only signed one player this season. Alvaro Morata was signed from Juventus, but the Spanish side failed to bring Paul Pogba into the team as the latter prefer to return to his former club Manchester United. Zidane said that this is not a big issue as he believes that he has quality players in the team and that his squad is more than enough to compete in the various competitions that Real Madrid will be participating in. Reigning UEFA Champions League champions Real Madrid have opted to keep the future of their star players locked down to the Santiago Berbabeu until probably the end of their careers, according to reports. Madrid have been quiet this summer in the transfer market, with President Florentino Perez and coach Zinedine Zidane confessing that the team needs no improvement aside the return of Alvaro Morata from Juventus. Bale is the second highest paid player at Real Madrid, taking £9.44 million annually. Ronaldo leads with his impressive wages of £14.59 million, but Bale’s terms would see an increase with the new deal. Madrid is also extending the deal of youngster Martin Odegaard until 2021. He was set to go on loan with Rennes the leading contender until they changed their mind. They claim they do not want issue due to the rules on underage signings, despite FIFA extant laws allowing the transfer of players above 16 years to move within the European Union. Bundesliga clubs couldn’t match the wages required, and there were no bids from the Premier League so Madrid decided to keep him. Sergio Ramos is set to join the Real Madrid team that is currently in the United States to face Paris Saint-Germain in a friendly match. He is accompanied by his team-mate Luka Modric. Both players were given longer holidays because of their participation at the Euros with Spain and Croatia. Sergio Ramos will hope that the new season with Real Madrid will be far more successful than it was with Spain at the Euros in France. Indeed Spain were hoping that they could replicate the form that saw them won the Euros in the past, but it was not the case this time. They were eliminated by Italy in the Round of 16 after an unconvincing display. It is clear that Spain will need to rethink of their football if they want to reach the top level again. Modric did not do better with Croatia either. Before the tournament, there were many pundits that were backing Croatia to achieve something great at the Euros but unfortunately for them, they were eliminated in the Round of 16 also. Just as Sergio Ramos, Luka Modric will be hoping that Real Madrid will perform better than their respective national side. Sergio Ramos and Luka Modric were instrumental players for Real Madrid last season where they managed to win the Champions League. They will be hoping that they can bring their European form to La Liga and win the title. Sergio Ramos believes that Real Madrid has the necessary resources to clinch the title. However, they need to make a strong start to the season. Last term, they have always been trailing Barcelona since the start and only managed to catch up with the Champions only in the closing stage of the season where Barcelona experienced a small dip in form. Real Madrid coach Zinedine Zidane has admitted that he would be interested in the possibility of signing Juventus midfielder Paul Pogba. Due to their French connections, Real Madrid are reportedly in pole position to sign Pogba in the summer. The Frenchman has been one of the most talked about players in recent months. Despite Juventus winning the league title for a fifth consecutive season, the possibility to join a club like Madrid or Barcelona cannot be dismissed by any player. Zidane may look at the possibility of taking advantage of this situation. He has managed to win the Champions League in just over eight months into his managerial career. After taking over from Rafa Benitez in the summer, Zidane was expected to last until the end of the campaign. Only his performances at the end of the season would determine if he would continue in the Madrid hot seat. 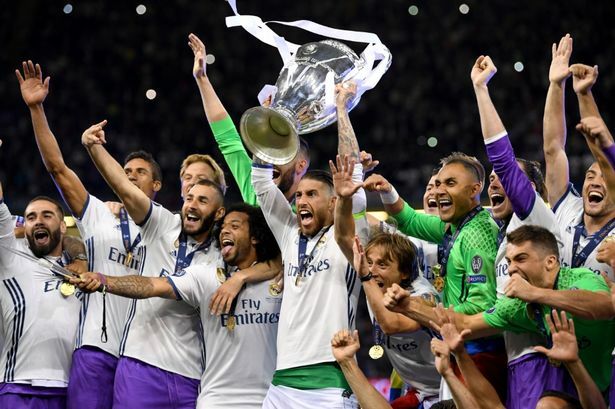 Even though Madrid failed to win the league title for yet another campaign and they also were knocked out of the Copa del Rey due to administrative reasons, Zidane managed to win the biggest prize of them all – Champions League. He has thus become part of an elite list of names to have won the title as a player and as a manager. “Everyone wants Pogba because he is a great talent. But he is a Juventus player.He’s still very young and has his own style of football so he doesn’t need to copy mine. He’s got a bright future ahead of him. I still feel like I have much more to do, I’ve been with Madrid for the last five months and my main target is to improve this team,” said Zidane in a recent interview about Pogba. Despite winning the Champions League, the former Ballon d’Or winner is already looking forward to the next season.